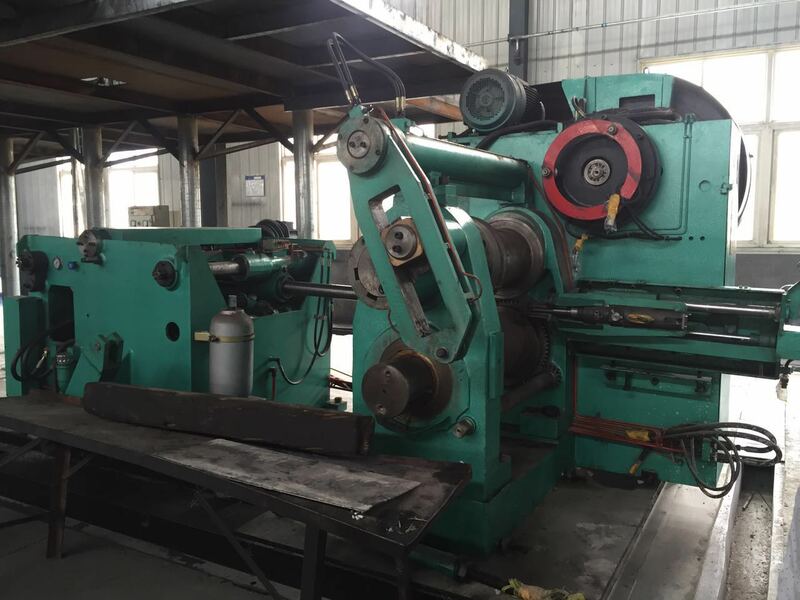 CFM ZGD-370 and ZGD-460 automatic forging rolls are debugged in Shandong Longkou Newstar Tools Co.,Ltd, engaged in designing, development and production of hand tools and matching tools. It is controlled by PLC, man-machine interface, the state of all the motion can be set and adjusted by touch screen and with fault automatic diagnosis, alarm and indication. The eccentric adjustment for rollers center distance and the automatic backlash compensation for circular tooth of the big gears make the structure compact and arrangement reasonable. The hydraulic oil tank is with cooling and heating device, temperature and level alarm. Both pneumatic friction clutch and brake have the functions of single-action, serial action and inching etc. With the features of slow hydraulic start and rapid rolling. The work-piece is input automatically to realize automatic forging, which not only improve the production efficiency and quality, but also reduce the labor intensity. The relevant movement between the forging rolls and mechanical arm is controlled by PLC. For the small size forging rolls, the lateral moving of mechanical arm clamp can be driven by the servo motor and the ball screw structure. Servo motor driving mechanism and die constant temperature heating mechanism are adopted for aluminum alloy rolling. If you are interesting, please do not hesitate to contact us!